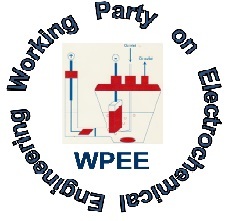 In June 2015 the 7th European Summer School on Electrochemical Engineering (ESSEE2015) will be held in Leeuwarden. Due to a great interest of scientists all over the world, the registration was closed in less than 45 days. In the Summer School, PhD students and other young researchers come together to learn about advanced topics in Electrochemical Engineering. As such, the school will help the participants in their current and future research in electrochemical engineering and science. The diverse program consists not only of lectures by renowned scientists from Europe, Asia and the USA, but also offers students to present their research during a poster session (and award). Moreover, participants can chose between an experimental or theoretical workshop track during which the information taught during lectures will be consolidated. After opening the registration on January 5, we experienced there was a great interest and we processed many registrations from researchers all over the world, including Australia, Canada, Mexico and India. On February 17, we had to close the registration, as we reached the maximum number of participants of 100.